Ohio law enforcement considers receiving stolen property an act of theft and fraud. That is, even though a person accused of receiving stolen property did not steal anything or illegally deprive anyone of anything of value, the legal system treats the person as a thief or a perpetrator of fraud. What Counts as a Crime? The statute goes on to note that people who purchase or otherwise take possession of items from someone who received property stolen by a third person can face a charge for receiving stolen property. This kind of makes sense—property never becomes less stolen, after all—but it does create a risk for criminal actions that people may not fully realize they are taking. The controlling law does attempt to shield unwitting recipients of stolen property by stipulating that committing a crime requires knowing or suspecting that an item was taken by theft or fraud at some point. Arrests and prosecutions of people who unsuspectingly bought or accepted stolen goods do occur frequently, however. Most cases that involve receiving stolen property are treated as first-degree misdemeanors. Felony charges are also possible when the items at issue have significant value and/or when possessing the item is considered otherwise illegal. Being accused of receiving a stolen item with a value of less than $1,000 brings a high-level misdemeanor charge. Such an offense is punishable by six months in jail and a fine of as much as $1,000. Prosecutors can also file multiple charges against the same defendant for separate alleged actions of receiving stolen property; in fact, the same defendant can face a misdemeanor charge for one item and a felony charge for another at the same time. The alleged offense gets prosecuted as fifth-degree felony when the item has a value of between $1,000 and $7,500, or if it is a check, credit card, license, or car. Note here that simply borrowing a car without the owner’s express permission can be prosecuted as a separate count of grand theft. The maximum penalties for a fifth-degree felony are 12 months in jail and fines up to $2,500. 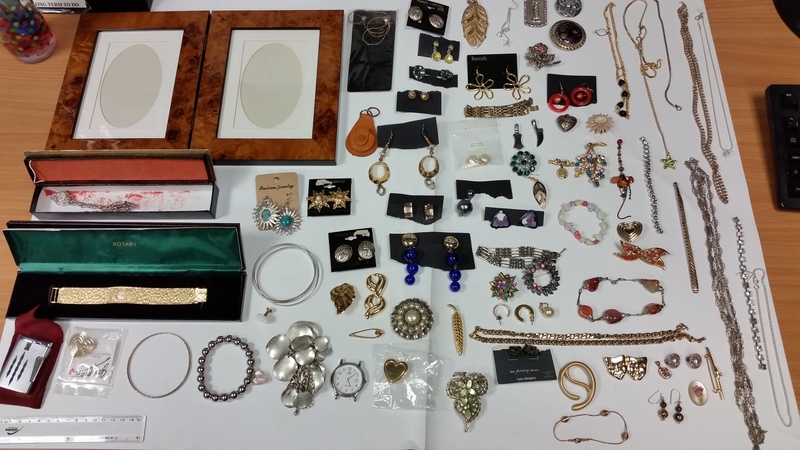 Receiving stolen property with a value of between $7,500 and $150,000 is treated as a fourth-degree felony, as is taking possession of a stolen car with a high value or a stolen drug. In this regard, it is worth keeping in mind that many prescription medications are treated as illegal drugs when people use them without a doctor’s order. For instance, accepting Schedule II painkillers like OxyContin or Vicodin that have been diverted from a pharmacy counts as receiving stolen property and subjects the recipient to a fourth-degree felony charge punishable by a prison sentence of 6-18 months and fines of as much as $5,000. Receiving stolen property with a value of $150,000 or greater is considered a third-degree felony. A conviction for this could result in a prison term of 9-36 months and fines up to $10,000. Defending yourself against an accusation of receiving stolen property comes down to either showing that the item was not taken by theft or fraud in the first place or proving that you had no reason to believe the item was stolen. Doing either can be difficult, but working with a skilled Columbus, Ohio, criminal defense attorney can certainly help. To learn if The Maher Law Firm can be of service, call us at (614) 205-2208. You can also schedule a no-cost case consultation through our website. Do not let a misunderstanding result in you being behind bars.